As I was saying in my last post, going from decision to reality when it comes to transition is a whole lot harder than I had anticipated. Much to my surprise and chagrin, I was not nearly as savvy at the ins and outs how things work as I thought I was! I have been around the block a few times in my career, and was smugly secure in my assumption that all I really needed to do was tell my admin shop that I was retiring. After all, that was one of the things that administrators were for, weren’t they? Didn’t they administrate, and wasn’t processing a retirement simply an administrative process? Well, yes and no. Yes it is administrative, but no, it is not simple, as have learned and continue to learn. Backing up a bit, the basis of my smugness was that I did what I always have done during my career- I prepared for the meeting with the retirement counselor by doing my homework. I logged into the Marine Corps website and surfed to the retirement section, where I started researching how to retire. There was a wealth of information (including a nifty letter from the Commandant commending retirees for their service- very classy!) that I read through to prepare. In particular I read the MARCORPSEPSMAN, which is Marine-speak for the Marine Corps Separations and Retirement Manual (never say in six words that which you can say in one barely pronouncable super-contraction), which had all the information that I thought I needed. Boy was I wrong! My assumption that I could announce my retirement was based on some calculations that are articulated in the manual. Here is how it works: there are several key dates that pertain to your career, and these are the Pay Entry Base Date (PEBD-more acronyms! Yay! ), the Armed Forces Active Duty Base Date (AFADBD), End of Active Service (EAS), and a few others that I will throw out along the way. The PEBD is the day that you raise your right hand and swear to support and defend this great nation of ours. For some people, that is the day they ship out for recruit training, but for most people there is a gap between signing the contract and swearing in and heading out for the apocryphal yellow footprints, which are the actual painted yellow footprints, located on the grounds of the Marine Corps Recruit Depots, that are every Marine recruit’s initiation on how to stand with your heels together and your feet at a 45′ angle whilst being informed by your new bestest friends what a baaaaad idea it was to sign on the dotted line. At any rate, I digress. The time gap between signing and shipping is filled with what is known as the Delayed Entry Program, or DEP (another acronym!). The recruit or officer candidate signs the contract and swears in, establishing his or her PEBD. 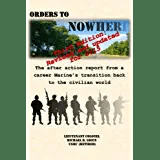 After a period of time, the recruiter shows up at the door and gives the unsuspecting recruit a ride to the airport, whereupon the hard part begins- recruit training or officer candidate school. The day that the recruiter picks you up is your AFADBD; the day that your active duty begins. Your retirement is calculated based on your AFADBD- you are eligible for retirement 20 years and 1 day after your AFADBD. The AFADBD only counts time on active duty, so your DEP doesn’t count, and neither does any time that you spend off of active duty (for example, you get out and come back in or are in the reserves or National Guard). For enlisted Marines and junior officers, their time in service is determined by the length of their enlistment contract. Generally along the lines of four years or so (a little different for officers), and it begins with your PEBD. So, now we have three different dates: PEBD, AFADBD, and EAS. PEBD is when you sign up, AFADBD is when you ship out, and EAS is when you get out. Pretty simple so far. Except for my case. I have both active duty and reserve service, which takes the simple and makes it complicated! I initially enlisted into the reserves for eight years. What that meant was that I had a PEBD, which has remained unchanged throughout my entire career. I had an AFADBD on the day I shipped to bootcamp, and my active duty time continued until I was released from active duty and entered reserve status, whereupon my AFADBD became obsolete because it only applies to active duty types. After a great time in the reserves, I finished my undergraduate degree and made the commitment to be an active duty officer, should I survive OCS. With that decision, several of the dates I wrote about earlier changed. My PEBD stayed the same (because I had no “broken” time in which I was not serving on either active duty or in the reserves) but I established a new AFADBD and a new EAS. My new AFADBD was the day I shipped to OCS, and my new EAS was 42 months later (again, officer’s contracts are slightly different than the standard four year gigs for enlisted types). After a year on active duty, my status changed from being a reserve officer to a regular officer (known as “augmentation” in the Marine Corps), and my EAS changed from an actual day on a calendar to “Indefinite”, which means that I served until I either quit or got thrown out. Or retired, as I was trying desperately to do when I sat down with my counselor. Easy enough. I should be able to retire 20 years and one day after my AFADBD, right? But what about my reserve time? Does any of that count? Why, yes it does! And that takes me back to the shocking revelation with the retirement counselor. The time that I had served on active duty during my reserve contract counted towards retirement, and even though I had studied the arcane and byzantine rules and regulations applying to retirement rules and had done the math to show that I had enough time to retire, that wasn’t good enough. I needed proof. Lots of proof. It turns out that even though we have a lot of records in computer databases and whatnot, there are a lot of records that aren’t so digitally available. It turns out that since I enlisted back when Reagan was in his first term and typewriters were all the vogue, there were no digital records to prove that I had served. Even though there was a document that showed my service (called the Career Retirement Credit Report, or CRCR for more acronymical dominance) there was no digital copy of the source documentation to provide a record of my service. I needed to actually show, with original documents, that I had been in the reserves. More importantly, I needed documentation of each and every day that I served on active duty during my reserve time, because each active duty day (for training, deployments, and such) would count towards my AFADBD, in effect moving it backwards in time. Holy mackarel! I needed documents pushing three decades in age! Whatever to do? Fortunately for me (and to the chagrin of my wife) I am a bit of a pack rat. In a box somewhere in my garage there lay a folder, and in that folder was every Leave and Earnings Statement (LES for you acronym lovers! ), which is the pay stub for military types. So, donning my best felt hat and with a whip in one hand and a flashlight in the other, I did my best Indiana Jones impersonation and went spelunking into the depths of my garage (anyone who has seen it can attest to the heroism I displayed that day) and found the folder! Happy day! I blew the dust off of the folder and sorted through the pile of dot matrix documents. I sat down at the kitchen table to sort through the three inch thick sheaf of brittle paper, and a couple of hours later I had a source document for every day I had served on active duty during my reserve service. Unfortunately, it was there that things got complicated. My counselor informed me that he was happy I had found the documents, but that there was nothing he could do with them. For that, I needed to go higher. A lot higher. Up to the Headquarters of the United States Marine Corps, where there was someone, somewhere, who could help me. Since I was (and still am) happily living in the San Diego area, the requirement to bring my pile of papers to an office in Northern Virginia presented some problems. That is when I abashedly swallowed my smugness and looked around for some help, and that is where seeking the advice and help of others comes in. After sleuthing about and doing my own adventure learning and research, it was time to admit that I couldn’t do it all myself. – Do your research. Find out what rules and regulations apply to your situation (service, active/reserve time, etc.) before you talk to someone. That will help you have a much more intelligent conversation than I had, and will smooth out the rough spots. – Get your administrative ducks in a row. Make a folder of all pertinent information (LESs, enlistment contracts, dates of commission, etc.). This is particularly important for reservists and those with reserve or broken service, as there may be no other copy of the documents you have. – Do what I didn’t do- talk to people and get advice! I didn’t, and it set me back a month or so as I pulled my head out and organized my files. – Links to various agencies and documents that I refer to are on the blogroll to the right of the text. I added the MARCORSEPSMAN and a few others today. This entry was posted in Transition Posts and tagged active duty, career, EAS, Enlisted, Marine Corps, military, Officer, Retiring, TAMP, TAP, transition. Bookmark the permalink. I have seen the garage and you underestimate the complexity of any search inthat tomb. Ha! Too true! In my newly found spare time I actually cleaned it out, with considerable help of course….believe it or not! Love the essay. You always have had a way of distilling mass quantitiies of complicated information into 3-5 easily digestable nuggets (good for us “real” knuckleheads, of which, with all due reverence, Sir, you are not). Shame on you for taking me back three years to my own retirement fiasco. I also wrote an essay, only mine was only four or five monosyllabic mispellings written on wrinkled waterproof paper with a really nifty pen that was used by astronauts. Let me know when your magic day is; would love to attend the ceremony. Glad to hear that this is giving you flashbacks. I’ll let you know about a shindig- we did the ceremony a the change of command for 1st ANGLICO. Always time for another shindig, though!